Islamic calligraphy has evolved alongside the religion of Islam and the Arabic language. As it is based on Arabic letters, some call it "Arabic calligraphy". However the term "Islamic calligraphy" is a more appropriate term as it comprises all works of calligraphy by the Muslim calligraphers from Morocco to China. Instead of recalling something related to the spoken word, calligraphy for Muslims is a visible expression of the highest art of all, the art of the spiritual world. Calligraphy has arguably become the most venerated form of Islamic art because it provides a link between the languages of the Muslims with the religion of Islam. The holy book of Islam, al-Qur'an, has played an important role in the development and evolution of the Arabic language, and by extension, calligraphy in the Arabic alphabet. 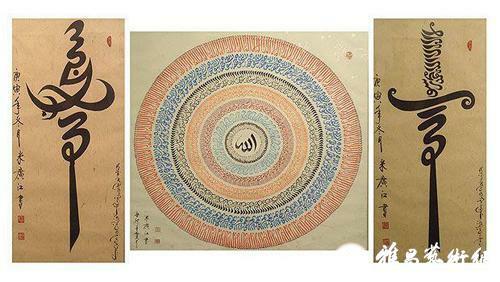 Proverbs and passages from the Qur'an are still sources for Islamic calligraphy. It is generally accepted that Islamic calligraphy excelled during the Ottoman era. Turkish calligraphers still present the most refined and creative works.Istanbul is an open exhibition hall for all kinds and varieties of calligraphy, from inscriptions in mosques to fountains, schools, houses, etc. Persian calligraphy is the calligraphy of Persian writing system. The history of calligraphy in Persia dates back to the pre-Islam era. In Zoroastrianism beautiful and clear writings were always praised. Mayan Glyphs was expressed via Mayan hieroglyphs; modern Mayan calligraphy is mainly used on seals and monuments in the Yucatán Peninsula in Mexico. Mayan hieroglyphs are rarely used in government offices, however in Campeche, Yucatán and Quintana Roo, Mayan calligraphy is written in Latin letters. Some commercial companies in Southern Mexico use Mayan hieroglyphs as symbols of their business. Some community associations and modern Mayan brotherhoods use Mayan hieroglyphs as symbols of their groups. Most of the archaeological sites in Mexico such as Chichen Itza, Labna, Uxmal, Edzna, Calakmul, etc. have glyphs in their structures. Stone carved monuments also known as stele are a common source of ancient Mayan calligraphy. 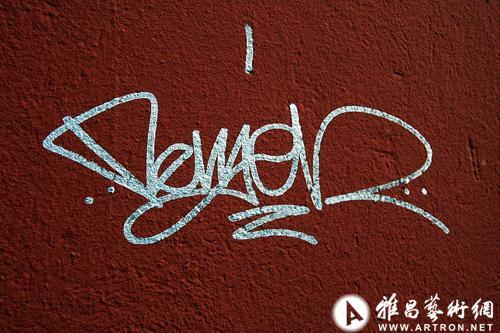 Graffiti also shares attributes similar to Calligraphy in being an expressive form of writing style. Although graffiti is often seen as destruction and vandalism to society, over the decades graffiti has emerged as passionate art, showing expression of style, culture, and identity. Graffiti has come to be regarded as another form of writing style. Both Calligraphy and Graffiti share similar attributes where different cultures and communities use varying tools and techniques to make their own distinct and unique visual lettering.